What is discount table ? Discount table will show the available discounts of that product in a table view. 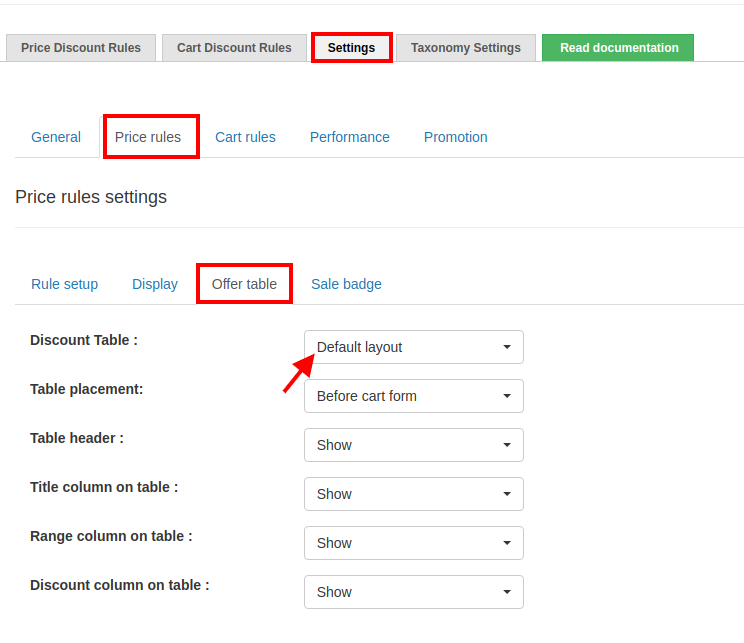 How to enable discount table ? 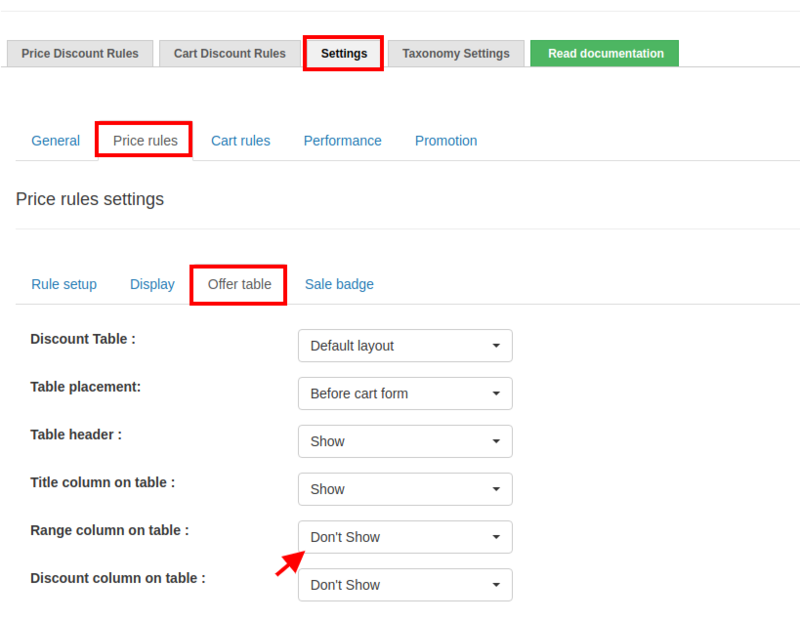 Navigate to Offer table tab and set the discount table to "Default Layout". If you wish to hide the discount table, juts set it to "Don't show". What if i just want to hide the "Range" and "Discount columns" alone ? In the same settings page, you have switches to turn off the "range" and the "discount" columns alone. 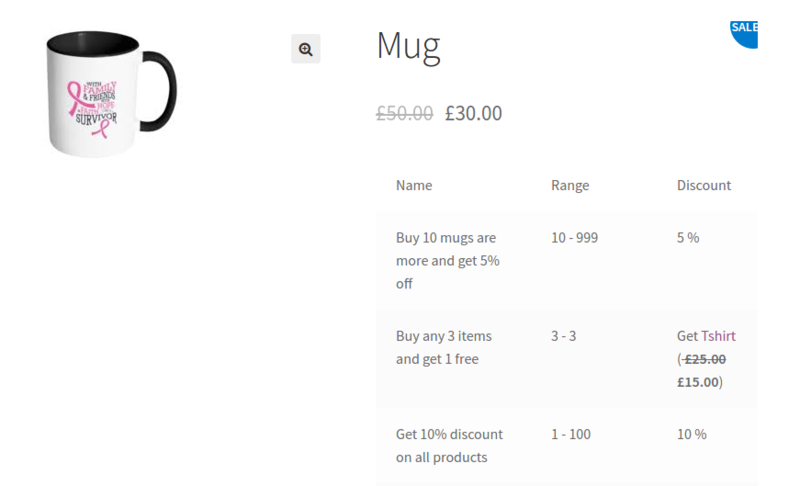 How to customise the discount table ? 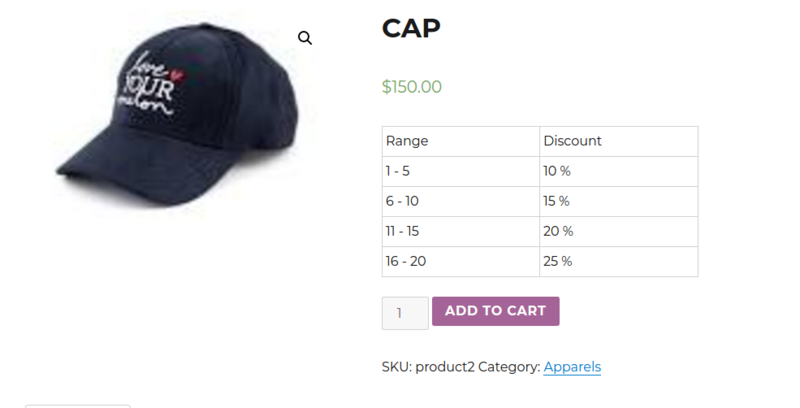 You may want to change or translate or customize the look and feel of the discount table that shows up on the product pages. NOTE: You will have to use an FTP client or the File Manager in your cPanel to carry out this change. You can change the HTML and the PHP code (not a lot of it) there and customize the display. Want to show Discounted price display in Discount table ? Insert the code snippet in the overridden file. This is nothing but just customising the discount table. Simply follow the steps given to customise the discount table. Learn more about adding a message to cart when the rule matches.